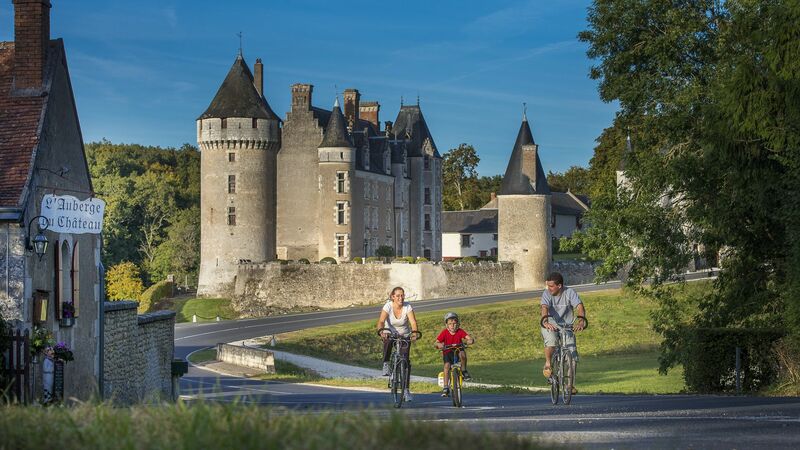 Alongside the châteaux of Brissac, Brézé and Cheverny, there are plenty of others in the Loire Valley that are still lived in. All of them are steeped in history but are still part of life today, and at times are open for visits in the company of their owners. Th Château of Plessis-Bourré has remained perfectly intact and as a result has been used as a film set on several occasions; you may recognise it from the 1970 musical starring Catherine Deneuve, Donkey skin! While the château's defences (double drawbridge, water-filled moats etc.) 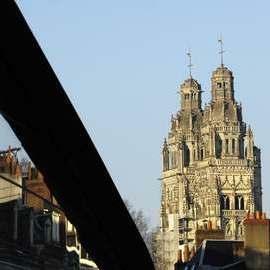 recall the Middle Ages, its gracious appearance already points to the Renaissance. The interiors are richly decorated, with the main apartments in particular being entirely furnished with 15th to 19th century pieces. There are also drawing rooms in 17th and 18th century style, while the guard room has a 15th century ceiling painted with scenes of alchemy. The chapel and library containing 3000 books are also well worth a visit. The Château of Serrant, on the other hand, is a perfect example of Renaissance architecture. Its elegance is immediately apparent with its facade that combines schist and tuffeau stone, two towers topped with elegant domes and a moat. The interior is every bit as splendid, with a magnificent staircase, monumental library and a remarkable Henry IV ebony cabinet. At the Château of Montgeoffreoy, you can admire a setting worthy of the 18th century. All the rooms contain perfectly preserved antique furniture and splendid paintings adorn the walls. Don't miss out on tour of the kitchen, with its 260 copper and pewter ware items! 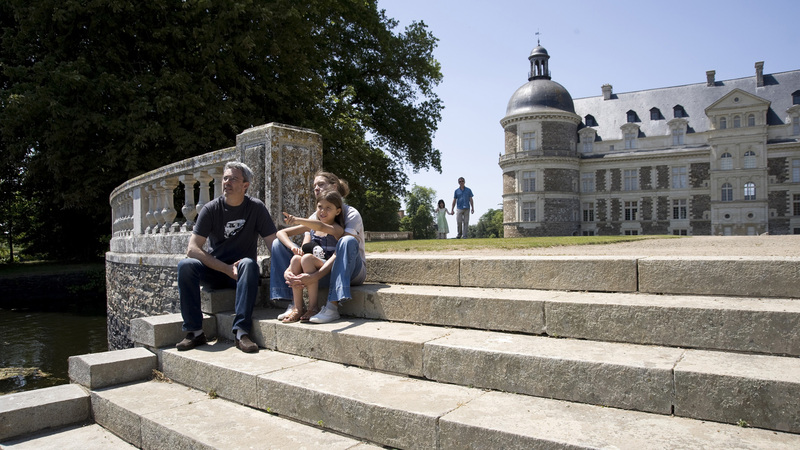 Your visit will be accompanied by descendants of the Maréchal de Contades, the château's builder. The Château of Goulaine near Nantes has been in the same family for a thousand years. Closely tied to its estate, it is sure to enchant you! Behind its appearance of a Breton fortress, there is a château concealing a superb tuffeau stone lodge in typical Renaissance style. Within, the decoration is rich and the exhibition about LU, the age-old biscuit factory of Nantes, is worth a visit. Come and visit the Château of La Bussière where you can enjoy a splendid view from the Venetian veranda. 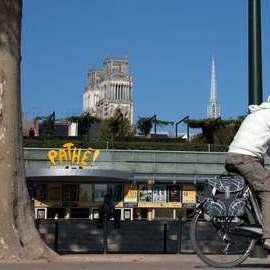 Designed by Le Nôtre, the French-style park boasts a lake covering six hectares, which has a history of fishing. This activity was carried out here during the Renaissance period and is a theme running throughout the visit through a number of exhibits and works of art. The Château of La Ferté Saint-Aubin will enchant you with its three floors of furnished rooms. On top of this, on Sunday afternoons in summer you can enjoy madeleine cakes with honey, served by cooks in period costume... a fine opportunity to understand how kitchens used to be run! Built at the end of the 15th century, the Château de Troussay was once the property of Louis de Saussaye, the archaeologist and friend of Prosper Mérimée. It was he who furnished the elaborate interiors as we see them today (with antique decorations, 16th, 17th and 18th century furniture etc.). Don't forget to take a stroll through the English-style park with its original outbuildings. A real gem in the midst of a vast landscaped park, the Château of Beauregard houses a prestigious gallery: the Galerie des Portraits (Portrait gallery) which contains 327 portraits of important historical figures. Another major attraction is its 16th century kitchen and study designed by King Henry II's cabinet maker. 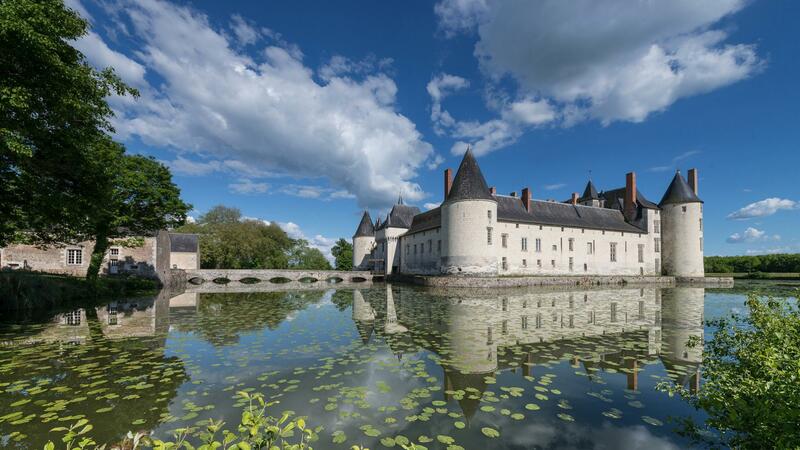 A former medieval fortress, the Château of Montpoupon owes its proud appearance to numerous restorations. However, it is nonetheless authentic and its interiors reveal the king's chamber, the kitchens containing a large number of copper pots and a hunting museum. Here, you will discover the world of horesback hunting with hounds. The Château of Gizeux used to belong to the Bellay family, relations of the famous author. 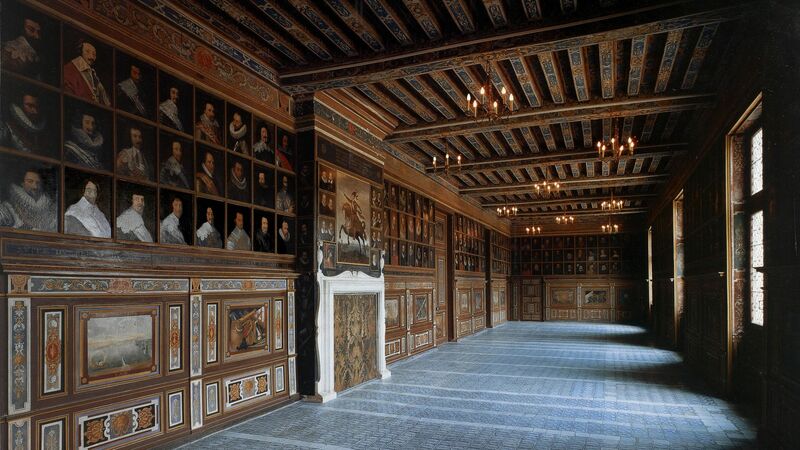 It boasts some splendid mural paintings in the Francis I gallery and in the Châteaux gallery. It is the largest collection of such paintings in the region!